Fasting | Pray for Revival! God wants to walk with us! Getting our lives in order spiritually and practically begins with the decision to make it our number-one priority. God wants to have a meaningful relationship with us daily. He never puts us on hold, and we never have to stand in line. He does not delegate our spiritual growth to one of the angels who serves Him. He is always waiting on each of us to come to Him. Bringing our lives into spiritual order requires a strategy. The Bible is God’s Word. It’s what God says to you and me, and to all people. Thus, we need to read the Bible every day. When the Bible speaks, God speaks. His voice through His Word cannot be minimized. But we can maximize its impact in our lives if we truly understand that what He says lives forever—and put His Word into practice! Through the years, I have witnessed thousands of Christians who live out their faith. Almost without exception, those who read the Bible daily are set apart from the others. Former trucking magnate J.B. Hunt told me that the Bible was his road map for life. It showed him how to live the way he wanted to live—for God. Hunt drove trucks all over America even before he and his wife Johnelle began their Fortune 500 transportation company (one of the largest in the country). While he lived on the road, the map of our country became important to him. It led him to his desired destination. But Hunt began his day reading the Bible. It would take him at least 18 months to read through the Bible once, but he read through the entire Bible several times in his life. It was his road map leading him to his desired spiritual growth. If an extraordinarily busy and wealthy man like J.B. Hunt knew he needed to read the Bible and make it a priority each day of his life, surely his example can inspire us to do the same. This imperative daily discipline helps us become spiritually fit. We cannot be all God wants us to be if we do not read the Bible. It is impossible. Think of it this way: We can go to God anytime, anywhere, about anything. Through Jesus Christ, we have direct access to God. Since we can go to God anytime, anywhere, and about anything that’s going on in our lives, why not choose to talk to God daily—and often? Create your own system of prayer or adopt someone else’s. If nothing else, make a list of things you are concerned about in your own life, your family, your church, your career and business, your future, your finances, your country, and concerns you have for other people. Pray for them each day and look for God to walk into those situations personally and powerfully. God answers prayer! God steps into the life of the person who prays. He can do more in a moment than you can in a lifetime. Each of us needs divine intervention. Living an orderly life requires praying our lives into order. This is why I keep my prayer list in the Notes app on my iPad. My list changes continually as I watch God respond to my prayers. And I can easily change my list because of the technology’s simplicity. Find what works best for you, and just do it. Consider adding periodic times of fasting to your prayer life. Fasting is abstaining from something with a spiritual goal in mind. A Compilation taken from materials found on the web, arranged and edited. Dr J. Edwin Orr was a leading scholar of revivals who published detailed books about evangelical awakenings. 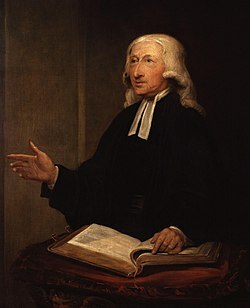 His research discovered major spiritual awakenings about every fifty years following the great awakening from the mid-eighteenth century in which John and Charles Wesley, George Whitefield and Jonathan Edwards featured prominently. This article, based on one of Edwin Orr’s messages, is adapted from articles reproduced in the National Fellowship for Revival newsletters in New Zealand and Australia. Not many people realize that in the wake of the American Revolution (following 17761781) there was a moral slump. Drunkenness became epidemic. Out of a population of five million, 300,000 were confirmed drunkards; they were burying fifteen thousand of them each year. Profanity was of the most shocking kind. For the first time in the history of the American settlement, women were afraid to go out at night for fear of assault. Bank robberies were a daily occurrence. What about the churches? The Methodists were losing more members than they were gaining. The Baptists said that they had their most wintry season. The Presbyterians in general assembly deplored the nation’s ungodliness. In a typical Congregational church, the Rev. Samuel Shepherd of Lennos, Massachusetts, in sixteen years had not taken one young person into fellowship. The Lutherans were so languishing that they discussed uniting with Episcopalians who were even worse off. The Protestant Episcopal Bishop of New York, Bishop Samuel Provost, quit functioning; he had confirmed no one for so long that he decided he was out of work, so he took up other employment. The Chief Justice of the United States, John Marshall, wrote to the Bishop of Virginia, James Madison, that the Church ‘was too far gone ever to be redeemed.’ Voltaire averred and Tom Paine echoed, ‘Christianity will be forgotten in thirty years. Is not this what is missing so much from all our evangelistic efforts: explicit agreement, visible unity, unusual prayer? This movement had started in Britain through William Carey, Andrew Fuller and John Sutcliffe and other leaders who began what the British called the Union of Prayer. Hence, the year after John Wesley died (he died in 1791), the second great awakening began and swept Great Britain. In New England, there was a man of prayer named Isaac Backus, a Baptist pastor, who in 1794, when conditions were at their worst, addressed an urgent plea for prayer for revival to pastors of every Christian denomination in the United States. Churches knew that their backs were to the wall. All the churches adopted the plan until America, like Britain was interlaced with a network of prayer meetings, which set aside the first Monday of each month to pray. It was not long before revival came. There was a ScotchIrish Presbyterian minister named James McGready whose chief claim to fame was that he was so ugly that he attracted attention. McGready settled in Logan County, pastor of three little churches. He wrote in his diary that the winter of 1799 for the most part was ‘weeping and mourning with the people of God.’ Lawlessness prevailed everywhere. Prayer and Fasting Can Transform Our Nation! How Is It Going With the Spiritual Discipline of Fasting? Let’s put fasting back on the menu! I made an interesting discovery recently: Fasting has been the bread and butter of normal church life for 2000 years! In fact, according to my research, it appears to have been one of the major factors in releasing the power of the Holy Spirit in times of Revival. Could it be that fasting is a vital, but missing ingredient in the 21st century church? In the early Christian Church they fasted on Wednesdays and Fridays. The early church fathers like Jerome, Athanasius, Clement of Rome, John Chrysostom – all I could find – practiced fasting. One day a week, twice a week, whole weeks, even whole months! Martin Luther was criticized because he fasted too much. John Calvin fasted and prayed until most of Geneva turned to God. John Knox fasted and prayed and the wicked Mary, Queen of Scots said she feared no weapon like she feared John Knox’s prayers. Jonathan Edwards who was God’s instrument in the revival in New England, fasted and prayed. He fasted for 22 hours prior to preaching his famous sermon, “Sinners in the Hands of an Angry God.” John Wesley fasted twice a week. 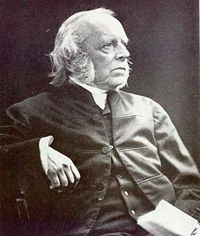 Charles Finney one of the greatest revival leaders in history was a man who fasted and prayed. D. L. Moody was not unfamiliar with fasting and praying. During the Prayer Revival in America in 1859, Christians fasted during their lunch hours and attended prayer meetings in churches near their places of employ­ment. In two years 1 million people came to Christ! Hall’s book on fasting and prayer was a major influence in the ministries of Oral Roberts, William Branham, A. A. Allen, O. L. Jaggers, David Nunn, Tommy Hicks, W. V. Grant and other healing evangelists who were raised up in the late 1940’s and 1950’s. Even in our own nation (Britain) the greatest revival (of conversion growth) in my lifetime was during Billy Graham’s crusades in the early ‘50s. He reports fasting and praying during his voyage to England before the great work began! Even this small selection is an impressive testimony of the power of fasting. Immediately after being baptized in the Jordan by John the Baptist, Jesus was led by the Holy Spirit to spend forty days fasting in the wilderness, Luke 4:1-2. During this forty day period Jesus came into direct spiritual conflict with Satan. Is it possible that Satan knew from history that fasting releases God’s power and that Jesus was now preparing for the ultimate decisive battle? Satan certainly did his utmost to thwart Jesus plans at this point. It seems that the potential of the Holy Spirit’s power, which Jesus received at the time of His baptism in Jordan, only came into its full manifestation after He had completed His fast. Fasting was the final phase of preparation through which He had to pass, before entering into His public ministry. Fasting in the wilderness obviously took Jesus to another level of effectiveness. Jesus made an interesting comment in Mark 9:29. Remarking on the inability of the disciples to cast out a spirit from a boy, he says that ‘this kind only comes out by prayer and fasting.’ This means that some special situations which are being troubled by satanic powers are better handled by adding fasting to prayer. Again, fasting releases God’s power. In Matthew 6.1-18 we read of instructions Christ gives to His disciples on three related duties: giving to the needy, praying, and fasting. In each case He places His main emphasis upon the motive and warns against religious ostentation for the sake of impressing men. With this qualification, He assumes that all His disciples will practice all three of these duties. This is indicated by the language which He uses concerning each. In verse 2 He says, “When you [singular] give to the needy . . . .” In verse 6 He says, “When you [singular] pray . . .” (in­dividually); and in verse 7, “When you [plural] pray . . (collectively). In verse 16 He says, “When you [plural] fast . . .” (collectively); and in verse 17, “When you [singular] fast” (individually). In no case does Christ say, if, but always when. The inference is clear. Christ expects that allHis disciples will regularly practice all three of these duties. Giving is a private affair you do on your own. Prayer and fasting are activities that are done regularly, both privately and collectively! This was not a surprise to the first disciples, for fasting was an accepted part of religious duty among Jews in Christ’s day. They had practiced it con­tinuously from the time of Moses onward. On a number of occasions in the Old Testament we see the entire nation called to fasting. Jehoshaphat proclaimed a fast in 2 Chron 20; Ezra proclaimed a fast in Ezra 8:21-23; a fast was employed to release God’s will in Esther’s day. Even non-believers proclaimed a fast at Nineveh and thereby changed God’s intention to destroy them. This was a big issue in their history. It brought the blessing of God down in the most difficult circumstances. The bridegroom, as always in the New Testament, is Christ Himself. The guests of the bridegroom are the disciples of Christ (about whom the question had been asked). The period while the bridegroom is with them corresponds to the days of Christ’s ministry on earth, while He was physically present with His disciples. The period when the bridegroom will be taken from them commenced when Christ ascended back to heaven, and will continue until He returns for His church. In the meantime the church, as a bride, is awaiting the return of the bridegroom. This is the period in which we are now living, concerning which Jesus says very defi­nitely, “And then shall they [the disciples] fast in those days.” In the days in which we now live, therefore, fasting is a mark of true Christian discipleship, ordained by Jesus Himself. Fasting should be put back on the menu by all those who desire to see another wave of kingdom power sweep their land! There­after fasting was a regular part of his spiritual discipline. In 2 Corinthians 6.3-10 Paul lists various different ways in which he had proved himself a true minister of God. In verse 5 two of the ways listed are: ‘in watchings, in fast­ings.’ ‘Watching’ signifies going without sleep; ‘fasting’ signifies going without food. Both these disciplines were practiced at times by Paul to make his ministry fully effective. In 2 Corinthians 11.23-27 Paul returns to this theme. Speaking of other men who set themselves up as his rivals in the ministry, Paul says: “Are they ministers of Christ? … I am more . . . .” He then gives a long list of the various ways in which he had proved himself a true minister of Christ. In verse 27 he says: “In weariness and painfulness, in watchings often, in hunger and thirst, in fast­ings often . . .” Here again Paul joins ‘watching’ closely with ‘fasting’. The plural form, ‘in fastings often,’ indicates that Paul devoted himself to frequent periods of fasting. ‘Hunger and thirst’ refers to occasions when neither food nor drink was available. ‘Fastings’ refers to occasions when food was avail­able, but Paul deliberately abstained for spiritual reasons. Also ‘fastings’ probably reflects that he practised different sorts of fasting. Sometimes a total fast of food and water (like all orthodox Jews do once a year on the Day of Atonement); sometimes a fast of just food (as Jesus did); sometimes a partial fast like Daniel who took no ‘choice’ foods; sometimes a daily fast, sometimes many days; sometimes alone and sometimes with others. One of these latter fasts is recorded in Acts 13:1-3. In the church at Antioch there were prophets and teachers: Barnabas, Simeon called Niger, Lucius of Cyrene, Manaen (who had been brought up with Herod the Tetrarch) and Saul. 2 While they were worshipping the Lord and fasting, the Holy Spirit said, “Set apart for me Barnabas and Saul for the work to which I have called them.” 3 So after they had fasted and prayed, they placed their hands on them and sent them off. In this local congregation in the city of Antioch five lead­ing ministers—designated as prophets and teachers—were praying and fasting together. This is described as ministering to the Lord. The majority of Christian leaders or congrega­tions today know very little of this aspect of ministry. Yet, in the divine order, ministry to the Lord comes before ministry to men. Out of the ministry to the Lord, the Holy Spirit brings forth the direction and the power needed for effective ministry to men. So it was at Antioch. As these five leaders prayed and fasted together, the Holy Spirit revealed that He had a special task for two of them—Barnabas and Saul (later called Paul). He said, “Separate for me Barnabas and Saul for the work whereunto I have called them.” In this way these two men were called out for a special task. So it was through collective prayer and fasting that Barnabas and Paul received, first, the revelation of a special task, and second, the grace and power needed to fulfil that task. At the time they all prayed and fasted together, Bar­nabas and Paul—like the other three men—were recognized as prophets and teachers. But after being sent forth to their task, they were described as apostles (see Acts 14.4, 14). We may therefore say that the apostolic ministry of Barnabas and Paul was born out of collective prayer and fasting by five leaders of the church at Antioch. So there we have it! Fasting releases the power of God through our prayers like nothing else can! It is normal for every Christian to fast. Jesus practiced this method and the early church followed suit. Of course there is much more teaching on the subject in Scripture but we have to conclude that there is hardly anyone who saw the intervention of God and great advance of His Kingdom, whether in the Bible or since the Bible was first penned, that did not use this dynamic addition to their prayer lives. They fasted! Men and women that God has used mightily throughout history, have similarly believed this. They saw God’s glory manifest in their day. The possibility of joining their ranks is offered to every believer today. Right around the world thousands of believers are practicing prayer with fasting. The Lord is preparing his great army for a glorious and final outpouring of his Spirit to restore the glory to the church and in the world, before his return. Let’s put fasting back on our menu!